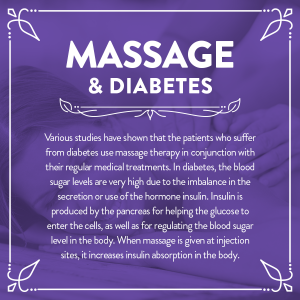 Massage can help with diabetes due to relaxation mode. It is also a contraindication and you must seek advice from your GP with a referral note to say it is OK for you to have a massage. 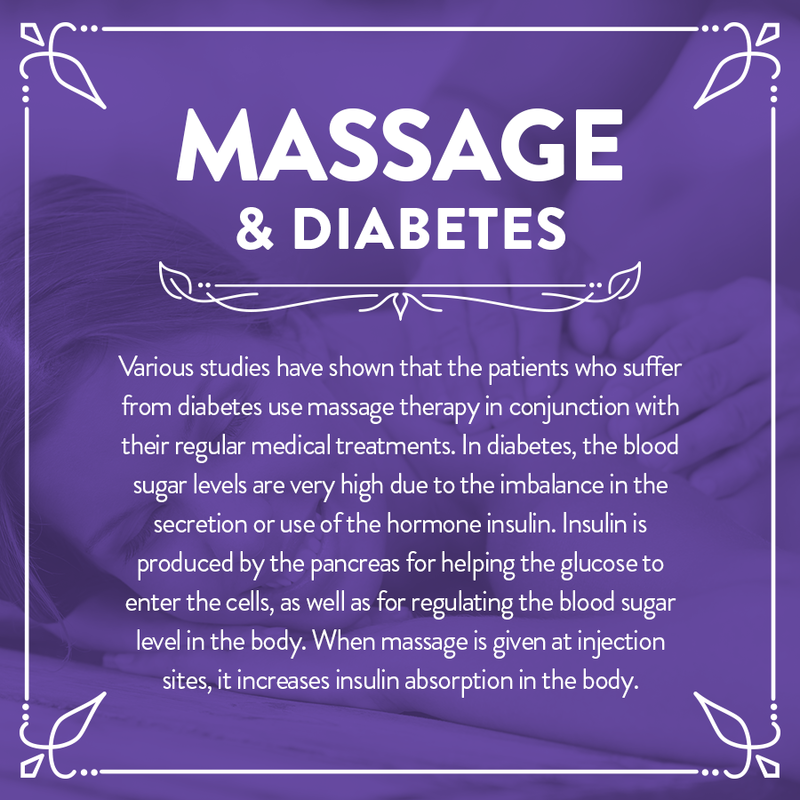 Usually massage is totally safe but it is best to get advice first.